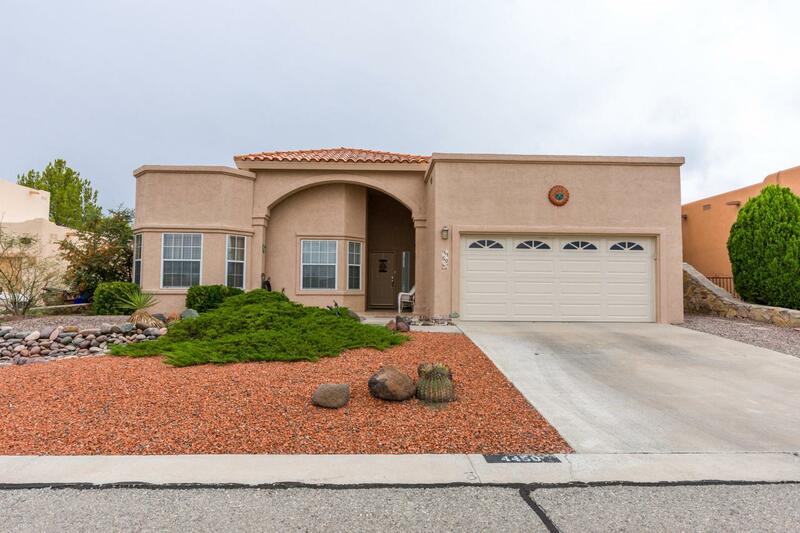 Marvel your eyes at this beautiful Southwestern property which offers 3 bedrooms, 2 baths, a 2 car garage and 1,817 square feet of living space! Come inside through the entry to the extensive family room with carpeted floors, fireplace, and vaulted ceilings. Stylish Kitchen with island and beautiful custom built cabinets that perfectly match the color of the whole room. Don't forget the dining room! The large bay windows and vaulted ceiling will surely enhance your dining experience. Large Owner's suite with carpeted floors. Step into the uniquely designed Owner's suite bathroom featuring jetted tub, double sinks, and walk-in closet. Impress your guests with a beautiful backyard with covered patio that promises good memories with family and friends.